Ongoing tariff war in Indian telecom sector is here to stay. Every other day, the operators continue to come with a new recharge plan or a promo offer to attract customers. Several of these offers, however, come earlier to the existing customers via their own apps. 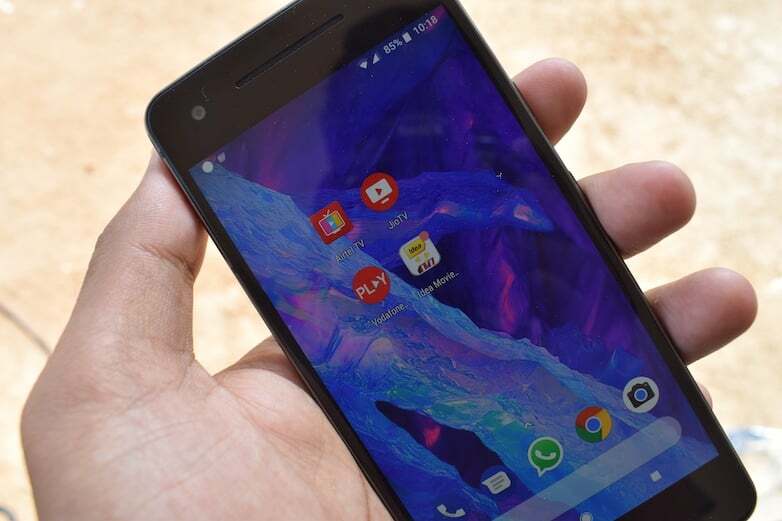 Following in steps of Airtel, both Vodafone India and Idea Cellular have come up with their very own apps to manage accounts. Here are the features of both apps which are offering their customers similar features. Vodafone India has rolled out a new and revamped MyVodafone App for Android and iOS users. The app is one stop shop for managing your Vodafone prepaid or postpaid accounts. The app can be used by subscribers to manage their bills, monitor usage, recharge and avail exclusive offers. Manage PostPaid & PrePaid Accounts: MyVodafone app allows for complete control of your Vodafone postpaid and prepaid accounts. You can track real-time data usage, calls, SMSes along with the data and voice plan details of your prepaid connection. The app also allows you to manage your billing effectively. You can view the upcoming bill, outstanding bill, currently unbilled transactions and as well transactions of last 6 months. The app allows you to pay your bills or any other Vodafone postpaid connection via many options including debit card, credit card, and net banking. The app also offers you special data or recharge packs and you can even buy recharges for your family and friends. 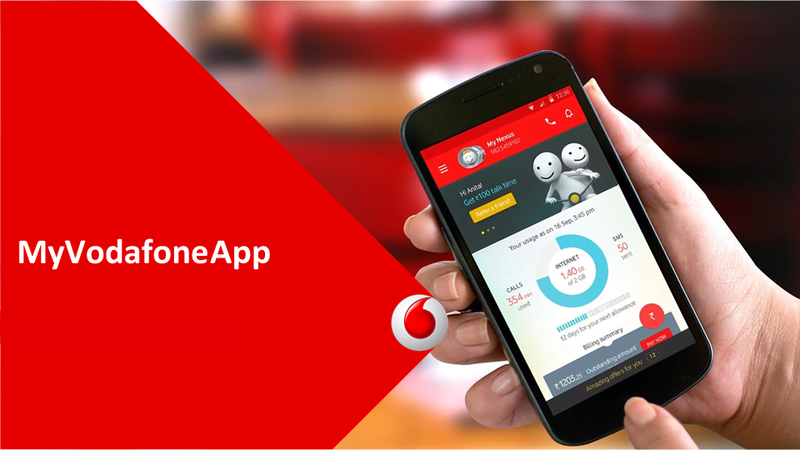 Vodafone prepaid customers can track Vodafone balance and data usage with MyVodafone app. You can as well view the recent history of recharges, deductions and currently plan details for your number. MyVodafone app also gives to access to all new Shop for exclusive recharge packs, data packs for both prepaid and postpaid customers. The app also allows for Vodafone Recharge for your as well other prepaid numbers with Credit & Debit cards or through Net Banking. New Connections, Roaming Packs & More: MyVodafone app provides instant access to company’s roaming and data packs for national and international roaming. Prepaid customers can activate national roaming with the app. Customers can view International roaming rates for different countries. Postpaid and Prepaid users can instantly activate or schedule International roaming for a future date. You can as well search for nearest Vodafone Store with the app. Moreover, you can order a new postpaid or prepaid connection at your home, without having to visit a store. Additionally, you get to avail free Wifi with the MyVodafone app which identifies Vodafone Wifi zones and lets you connect to the network. MyIdea App is a great way to manage your Idea prepaid and postpaid accounts as well make secure payments to recharge, pay bills, track usage and avail promo offers. 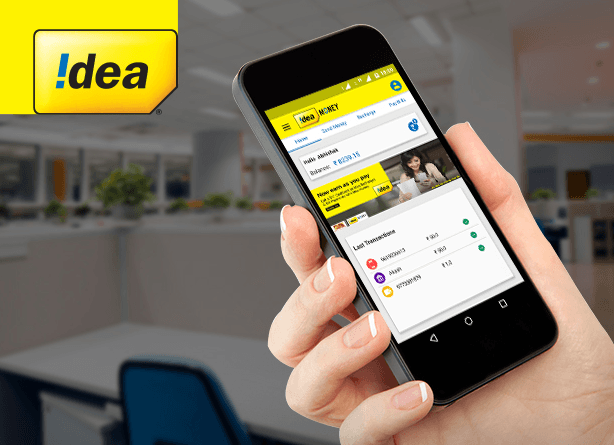 PrePaid Services: MyIdea app can be used for recharging your connection or any other Idea number via multiple options including Debit Card, Credit Card and Electronic Banking. You also have the option of saving card details in the app for faster transactions. PostPaid Services: The app is a great way to manage your Idea PostPaid bills. You can access the details of your bill cycle, outstanding dues and make payments instantly through debit or credit cards. The app also gives you access to exclusive offers for your Idea number. Manage Multiple Accounts & Services: MyIdea app is your one-stop solution for managing your services and subscriptions for multiple Idea connections. You can check account details of multiple accounts with a single login. You get to activate packs and value-added services for your or any other Idea connection. The app allows for viewing and activating tariff plans for talk time, SMSes, internet and other services. From managing roaming services to ISD and call conferencing, the app is there to help you. Additionally, the app also provides for managing dialer tones settings. You can choose songs from various categories like trending now, Bollywood, Instrumental or search for your particular interest. You also get access to Idea Music Lounge, Idea Movie Club, Game Spark and Idea Money with the app. I have used My Airtel app and My jio app. My BSNL App is outdated one..